Sosyal sermaye kavramı, hem ampirik çalışmalarda, hem de kuramsal tartışmalarda, sosyal bilimlerde yaygın olarak kullanılan bir kavramdır. Birçok akademik çalışma, sosyal sermayeyi toplumsal sorunlara bir çözüm önerisi olarak ele almış ve toplumsal sorunların önde gelenlerinden biri olan ergen suçlu davranışı ile ilişkisi üzerine de çeşitli bulgular ortaya koymuştur. Ancak, bu çalışmalar, sosyal sermayenin ergen suçluluğuna olan çok boyutlu etkilerini ele almamışlardır. Bu eksikliğin üstesinden gelmek amacıyla, bu çalışmada, İstanbul’un Bağcılar ilçesinde eğitim gören öğrencilere uygulanmış olan Avrupa’da Gençlik anketi kullanılarak, sosyal sermayenin ergen suçluluğuna etkisi birey seviyesindeki temel değişkenler kontrol edilerek incelenmiştir. Çalışma sonucunda, sosyal sermayenin ergen suçlu davranışı üzerinde hem engelleyici hem de canlandırıcı bir etkisinin olduğu tespit edilmiştir. Böylece, sosyal sermayenin her zaman toplumsal sorunlara bir çözüm olmadığı, bazen bu sorunların sebebi olduğu da ortaya konmuştur. Social capital is a concept that is widely used in social sciences, both in empirical studies and in theoretical debates. Many academic studies have considered social capital as a solution to social problems and have presented various findings on the relationship between social capital and one of the leading social problems, adolescent delinquency. However, these studies have not examined the multidimentional effects of social capital on adolescent delinquency. In this study, in order to overcome this deficiency, using the Youth in Europe survey, which was conducted to students studying in the Bagcilar district of Istanbul, the effect of social capital on adolescent delinquency was investigated, while controlling for the basic variables at the individual level. The results indicate that social capital has both preventative and stimulating effects on adolescent delinquency. Thus, it was shown that social capital has not always been a solution to social problems, and it might sometimes be the cause of these problems. Adler, P. S., & Kwon, S.-W. (2002). Social capital: Prospects for a new concept. Academy of management review, 27(1), 17-40. Agnew, R. (1992). Foundation for a general strain theory of crime and delinquency. Criminology, 30(1), 47-88. Akers, R. (2017). Social learning and social structure: A general theory of crime and deviance. Routledge. Bearman, P. S., & Moody, J. (2004). Suicide and friendships among American adolescents. American Journal of Public Health, 94(1), 89-95. Bilgic, E., & Yurtal, F. (2009). Zorbalik eğilimlerinin sinif iklimine göre incelenmesi. Eğitimde Kuram ve Uygulama, 5(2), 180-194. Bourdieu, P. (1986). The forms of capital. In J. G. Richardson (Eds.). Handbook of theory and research for the sociology of education (pp. 241–258). New York, NY: Greenwood Press. Cernkovich, S. A., & Giordano, P. C. (1992). School bonding, race, and delinquency. Criminology, 30(2), 261-291. Coleman, J. (1988). Social capital in the creation of human capital. American journal of sociology, 94, S95-S120. Coleman, J. (1990). Foundations of social theory. Cambridge, MA: Belknap. Demanet, J., & Van Houtte, M. (2012). School belonging and school misconduct: The differing role of teacher and peer attachment. Journal of Youth and Adolescence, 41(4), 499-514. Dufur, M. J., Hoffmann, J. P., Braudt, D. B., Parcel, T. L., & Spence, K. R. (2015). Examining the effects of family and school social capital on delinquent behavior. Deviant Behavior, 36(7), 511-526. Durmuş, E., & Gürgan, U. (2005). Lise Öğrencilerinin Şiddet ve Saldırganlık Eğilimleri. Türk Eğitim Bilimleri Dergisi, 3(3), 253-269. Emler, N., & Reicher, S. (1995). Adolescence and delinquency: The collective management of reputation. Blackwell Publishing. Fredricks, J. A., & Eccles, J. S. (2008). Participation in extracurricular activities in the middle school years: Are there developmental benefits for African American and European American youth? Journal of Youth and Adolescence, 37(9), 1029-1043. Fukuyama, F. (1995). Trust: The social virtues and the creation of prosperity. Free Press Paperbacks. Fukuyama, F. (2001). Social capital, civil society and development. Third world quarterly, 22(1), 7-20. Gottfredson, D. C. (2001). Schools and delinquency. Cambridge University Press. Hallinan, M. T. (2008). Teacher influences on students' attachment to school. Sociology of education, 81(3), 271-283. Helliwell, J. F. (2007). Well-being and social capital: Does suicide pose a puzzle? Social indicators research, 81(3), 455. Henry, K. L., & Slater, M. D. (2007). The contextual effect of school attachment on young adolescents’ alcohol use. Journal of school health, 77(2), 67-74. Hilbe, J. M. (2011). Negative binomial regression. Cambridge University Press. Hirshi, T. (1969). Causes of delinquency. Berkeley, CA: University of California. Johnson, M. K., Crosnoe, R., & Elder Jr, G. H. (2001). Students' attachment and academic engagement: The role of race and ethnicity. Sociology of education, 318-340. Kawachi, I., Kennedy, B. P., & Lochner, K. (1997). Long live community: social capital as public health. American Prospect(35), 56-59. Kennedy, B. P., Kawachi, I., Prothrow-Stith, D., Lochner, K., & Gupta, V. (1998). Social capital, income inequality, and firearm violent crime. Social science & medicine, 47(1), 7-17. Knack, S., & Keefer, P. (1997). Does social capital have an economic payoff? A cross-country investigation. The Quarterly journal of economics, 112(4), 1251-1288. Krohn, M. D., & Massey, J. L. (1980). Social control and delinquent behavior: An examination of the elements of the social bond. The Sociological Quarterly, 21(4), 529-544. Levi, M. (1996). Social and unsocial capital: A review essay of Robert Putnam's Making Democracy Work. Politics & Society, 24(1), 45-55. Maddox, S. J., & Prinz, R. J. (2003). School bonding in children and adolescents: Conceptualization, assessment, and associated variables. Clinical child and family psychology review, 6(1), 31-49. McCarthy, B., Hagan, J., & Martin, M. J. (2002). In and out of harm's way: Violent victimization and the social capital of fictive street families. Criminology, 40(4), 831-866. Özbay, Ö., & Özcan, Y. Z. (2006). A test of Hirschi’s social bonding theory: Juvenile delinquency in the high schools of Ankara, Turkey. International Journal of Offender Therapy and Comparative Criminology, 50(6), 711-726. Özbay, Ö., & Özcan, Y. Z. (2008). A test of Hirschi's social bonding theory: A comparison of male and female delinquency. International Journal of Offender Therapy and Comparative Criminology, 52(2), 134-157. Paxton, P. (1999). Is social capital declining in the United States? A multiple indicator assessment. American journal of sociology, 105(1), 88-127. Portes, A. (1998). Social capital: Its origins and applications in modern sociology. Annual review of sociology, 24(1), 1-24. Putman, R. D. (2000). Bowling alone: The collapse and revival of American community. Simon & Schuster. Putnam, R. D. (1993). Making democracy work: civic traditions in modern Italy. Princeton University Oress. Putnam, R. D. (1995). Tuning in, tuning out: The strange disappearance of social capital in America. PS: Political science & politics, 28(4), 664-683. Rosenfeld, R., Baumer, E. P., & Messner, S. F. (2001). Social capital and homicide. Social Forces, 80(1), 283-310. Rubio, M. (1997). Perverse social capital—some evidence from Colombia. Journal of economic issues, 31(3), 805-816. Sabatini, F. (2009). Social capital as social networks: A new framework for measurement and an empirical analysis of its determinants and consequences. The Journal of Socio-Economics, 38(3), 429-442. Salmi, V., & Kivivuori, J. (2006). The association between social capital and juvenile crime: The role of individual and structural factors. European Journal of Criminology, 3(2), 123-148. Sampson, R. J., & Groves, W. B. (1989). Community structure and crime: Testing social-disorganization theory. American journal of sociology, 94(4), 774-802. Sampson, R. J., Morenoff, J. D., & Earls, F. (1999). Beyond social capital: Spatial dynamics of collective efficacy for children. American sociological review, 633-660. Sampson, R. J., Raudenbush, S. W., & Earls, F. (1997). Neighborhoods and violent crime: A multilevel study of collective efficacy. Science, 277(5328), 918-924. Shaw, C. R., & McKay, H. D. (1942). Juvenile delinquency and urban areas. Chicago: University of Chicago Press. Sutherland, E. H., Cressey, D. R., Luckenbill, D. F., & Luckenbill, D. (1992). Principles of criminology. Rowman & Littlefield. Thorlindsson, T., & Bernburg, J. G. (2004). Durkheim’s theory of social order and deviance: A multi-level test. European Sociological Review, 20(4), 271-285. Unal, H., & Cukur, C. S. (2011). The Effects of School Bonds, Discipline Techniques in School and Victimization on Delinquency of High School Students. Educational Sciences: Theory and Practice, 11(2), 560-570. Weitzman, E. R., & Kawachi, I. (2000). Giving means receiving: the protective effect of social capital on binge drinking on college campuses. American Journal of Public Health, 90(12), 1936. Woolcock, M. (2001). The place of social capital in understanding social and economic outcomes. Canadian journal of policy research, 2(1), 11-17. Yuksek, D. A. (2017). Moral Destabilisation or Revivification: The Trend of Religion-Based Social Capital Following 9/11. Comparative Sociology, 16(6), 687-715. Yuksek, D. A. (2018). Evaluating the Importance of Social Capital for the Conversion of the Forms of Capital: A Critical Approach to the Bourdieusian Model. 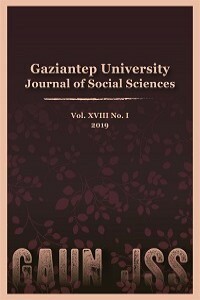 Gaziantep University Journal of Social Sciences, 17(3), 1090-1106. Yuksek, D. A., & Solakoglu, O. (2016). The relative influence of parental attachment, peer attachment, school attachment, and school alienation on delinquency among high school students in Turkey. Deviant Behavior, 37(7), 723-747.